In today’s real estate market, homes in good condition that are priced competitively don’t stay on the market very long. Savvy buyers keep their eyes open and are prepared to write an offer quickly when they find the right home. 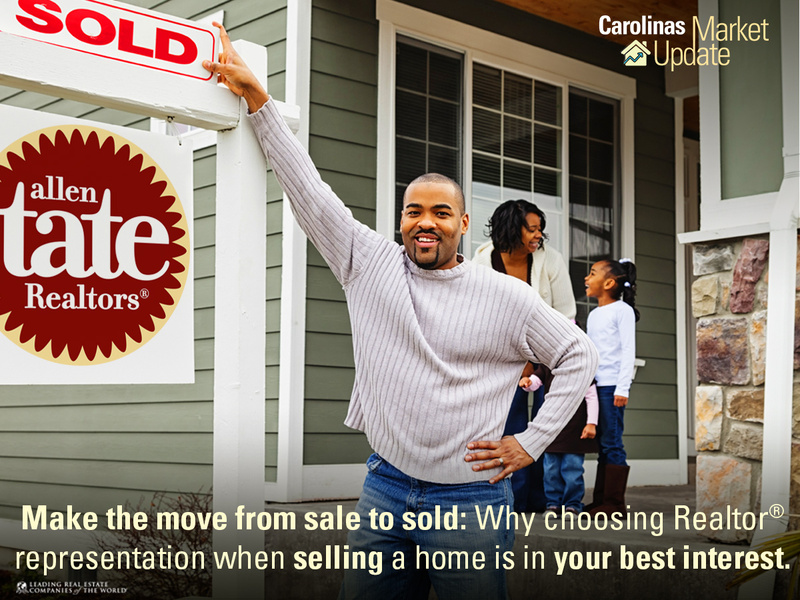 So you might think that more sellers are taking the Realtor® out of the process – and listing the home themselves to save marketing dollars. Quite the contrary, says Pat Riley, president and CEO, Allen Tate Companies, in the November-December edition of Carolinas Market Update, a bi-monthly real estate series. Only 9 percent of home are FSBO – for sale by owner – and that has not changed in the last 3 years, according to the National Association of Realtors. Of those, nearly half knew the buyer – a family member or friend – which mean true FSBOs are even a smaller percentage of today’s market. “Marketing – while very, very important – is only a small part of the real estate equation. Sellers understand that a professional Realtor offers you is much, much more,” said Riley. In addition, a Realtor is prepared to immediately respond to inquiries about your home and is available for unbiased showings. Realtors are familiar with mandated disclosure and discrimination law, and is an expert in negotiating inspections, warranties, and what is included with the home. Interestingly, 92 percent of all home buyers also elect to use the services of a Realtor.